On December 30, 2010 Little League International issued a moratorium on composite bats from the Majors Division on down. Since then, there has been an incredible amount of confusion regarding what bats are and are not legal. Even the umpires get confused sometimes looking at various bats trying to determine their legality. In an effort to make things simpler for teams, players, and parents, the PBI Baseball League will once again follow the Little League bat regulations for the 2013 spring season at the 40/60, 46/60, 50/70 and 60/90 field levels covering the age levels from 8U through 14U. 40/60 (8U) and 46/60 Divisions (9U through 12U) – Bats cannot have a barrel size bigger than 2 1/4″. Composite barrel bats are prohibited at these levels unless they have been approved by Little League International. For a complete list of approved 2 1/4″ composite bats click here. Additionally, all non-wood approved 2 1/4″ barrel bats must also have the BPF of 1.15 printed somewhere on the bat. ALL 50/70 divisions (11U through 13U) & ALL 60/90 divisions at the 13U and 14U levels – Players at these levels may use non-wood bats with a 2 1/4″ barrel, but those bats must meet all approved Little League guidelines as per above. All non-wood 2 5/8″ composite barrel bats must meet the BBCOR -3 standard. All non-wood 2 5/8″ non-composite barrel bats may be any drop. 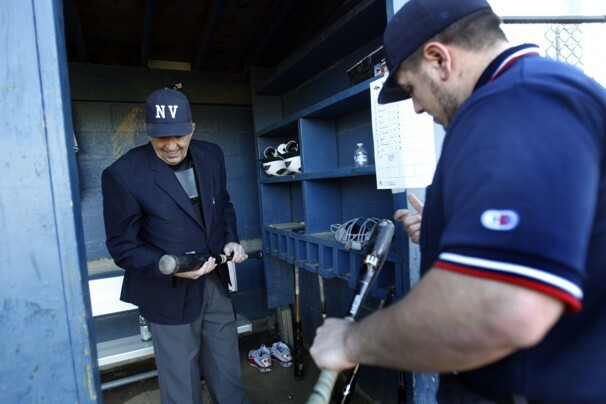 IMPORTANT NOTE – umpires who are assigned to work PBI Baseball League games have the right granted to them by the League to require a batter to use a heavier bat based upon the physical size of the batter. There are some 12, 13 and 14U players who are too big to be using a -10 2 5/8″ barrel bat. For safety reasons, an umpire can determine such a player needs to use a heavier bat. Both high school divisions of the PBI Baseball League (junior varsity and varsity) will follow the nationally recognized high school guidelines for bats. All bats at those two levels must meet BBCOR -3 standards. If you still have questions, please contact League Commissioner Jim Monaghan directly – jim@baseballclinics.c om.